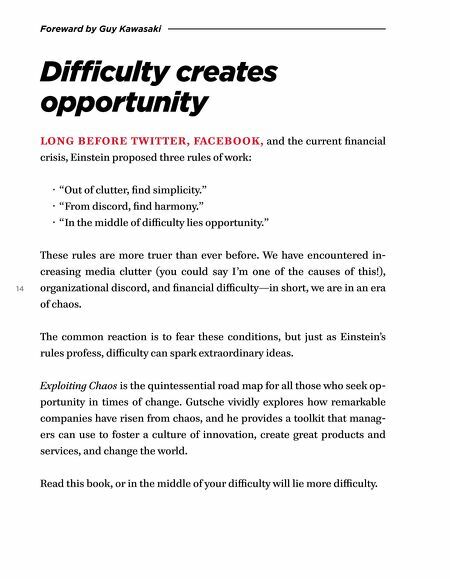 Foreward by Guy Kawasaki Difficulty creates oppor tunity LONG BEFORE TWITTER, FACEBOOK, and the current financial crisis, Einstein proposed three rules of work: · "Out of clutter, find simplicity." · "From discord, find harmony." · "In the middle of difficulty lies opportunity." 14 These rules are more truer than ever before. We have encountered in- creasing media clutter (you could say I'm one of the causes of this! ), organizational discord, and financial difficulty—in short, we are in an era of chaos. 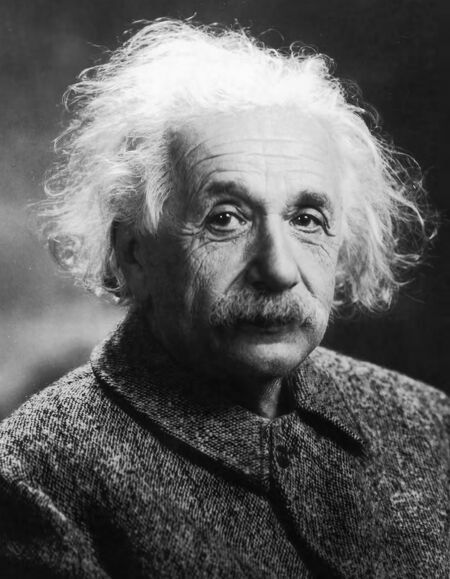 The common reaction is to fear these conditions, but just as Einstein's rules profess, difficulty can spark extraordinary ideas. Exploiting Chaos is the quintessential road map for all those who seek op- portunity in times of change. Gutsche vividly explores how remarkable companies have risen from chaos, and he provides a toolkit that manag- ers can use to foster a culture of innovation, create great products and services, and change the world. Read this book, or in the middle of your difficulty will lie more difficulty.